The Caribbean Sea, tucked between North and South America, is historically a region of sea travel, pirates, and settling in the New World. 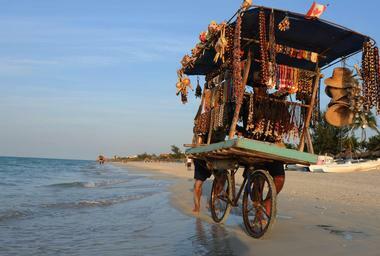 Today, it maintains all of that history on top of being a world-class vacation destination. The region is blessed with warm waters, sunny weather, and a tropical climate, and each of the many islands in the Caribbean has something to offer visitors. From the ancient forts and city of Santo Domingo to the world-class resorts in Aruba to the volcanic craters and hiking trails of the island of Dominica, the Caribbean has something to offer everyone. 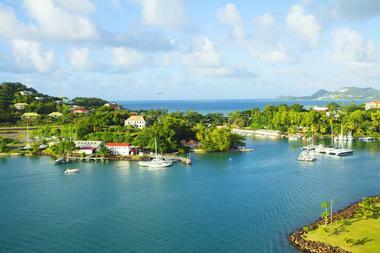 Saint Lucia is an island nation characterized by the dramatic mountains on its west side known as the Pitons. Visitors staying in Saint Lucia can settle down in a luxurious resort and spend their days lounging on gorgeous volcanic beaches or go diving to explore coral reefs beneath the blue waves. Inland, a hike along one of the humid green rainforest trails may lead tourists to stunning waterfalls or lush green forestscapes. There are plenty of tour companies in Saint Lucia, which can offer visitors zipline experiences, Jeep tours, horseback riding, boat tours, and more. Another island horrifically shaken by Hurricane Irma, Saint Martin is still in recovery from the events of September 2017. 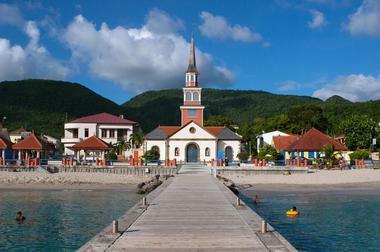 Rebuilding is likely to continue for years, but this tough little island is still beautiful and open for business. 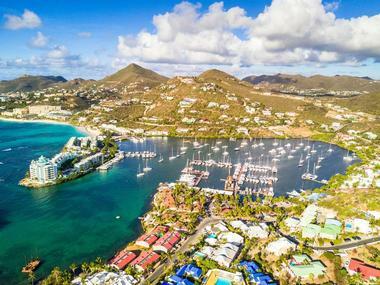 Known as "The Friendly Island," Saint Martin actually comprises two countries - the French Saint-Martin on the north and the Dutch Sint Maarten in the south - but EU regulations allow for easy passage between the two countries for tourists. Known for the beautiful secluded coves where visitors can relax, sunbathe, swim, and snorkel as well as for the lovely beaches that line its coasts, Saint Martin is a beautiful little island that also offers delicious fusion cuisine and a vibrant nightlife. St Thomas is the most cosmopolitan of the three US Virgin Islands, and its capital city, Charlotte Amalie, offers resorts, shopping, fantastic cuisine, and a thriving nightlife. Visitors can climb the 99 Steps above Charlotte Amalie for a spectacular view of the island and the Caribbean Sea or take the Skyride 700 for an even higher view. History buffs can check out Fort Christian, built in the 17th century by Danish and Norwegian settlers on the island. On land, there are zipline tours, hiking trails, and bicycle tours, and on the water, Saint Thomas offers marine animal adventures at Coral World as well as snorkeling, scuba diving, and even submersible scooter tours. San Juan, the capital city of Puerto Rico, dates back centuries to its time as an island fortress in the 16th century. Still in recovery from the devastating effects of Hurricane Irma, San Juan is still open for tourists, and as a US territory, American travelers have the opportunity to visit the Caribbean with no passport required. A walk around Old San Juan will reveal brightly painted colonial architecture, cobblestone streets, and beautiful plazas, and in New San Juan visitors will find beachfront resorts, lots of shopping, and a vibrant nightlife. 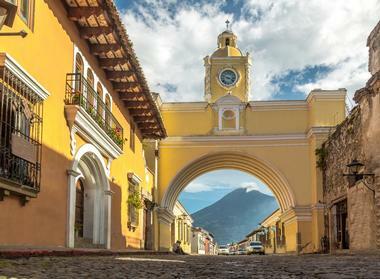 Tours of the old fort, museums, galleries, and some delicious food will round out a trip to this excellent city. Part of a rugged group of volcanic islands known as the Lesser Antilles, Martinique is an overseas territory belonging to France. 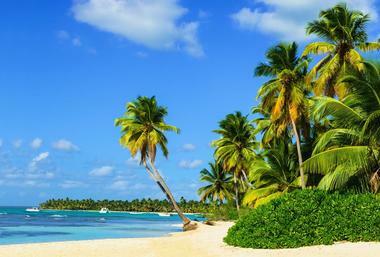 On its eastern coast is the mighty Atlantic Ocean, and on its western border the warm waves of the Caribbean Sea. Martinique's picture-perfect palm trees, white sandy beaches, and sunsets are the very image of an ideal Caribbean holiday, and visitors can take part in diving, snorkeling, kite surfing, jet skiing, and kayaking, to name a few options. Its unique and delicious Caribbean and French-infused cuisine is delicious, and the diverse and vibrant island culture, including music, festivals, and events, is evident at every turn. 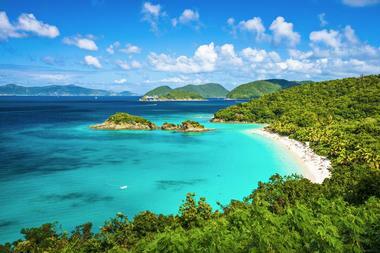 Antigua and Barbuda is a Caribbean nation made up of two large tropical islands as well as several smaller islands. Sandy beaches and sunny weather are practically a given, but Antigua and Barbuda is also well known for the colorful reefs located just off its coasts as well as the green, diverse rainforests on the islands. The capital city of St. Johns, on the island of Antigua, is a bustling port city with plenty of cultural and historical museums, outdoor markets for crafts, souvenirs, and local specialties as well as an abundance of food and nightlife options. 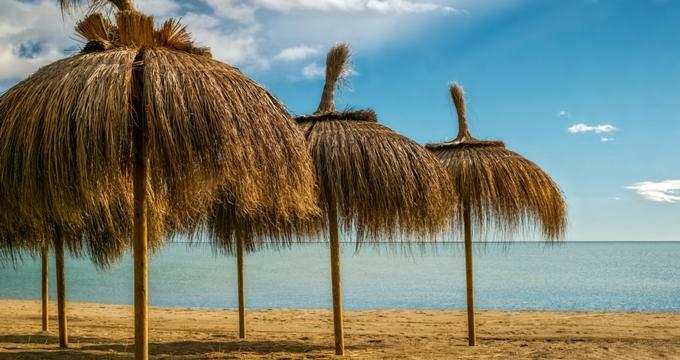 Located just off the coast of Venezuela, visitors to Aruba can stay at a high-rise beach resort on Palm Beach, a smaller resort on Eagle Beach, or in one of the apartments or timeshares located throughout the island. A guided day tour of the island (either on land via foot or a Jeep or underwater via submarine! 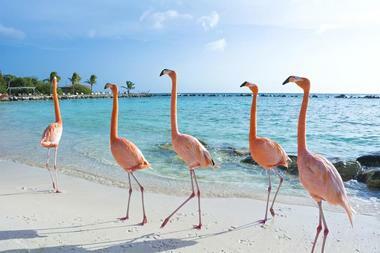 ), a scuba diving lesson, horseback riding on the beach, and watching the sun set below the horizon from the white sands of the beach or from an outdoor table at a romantic restaurant are all some of the adventures that await in beautiful Aruba. 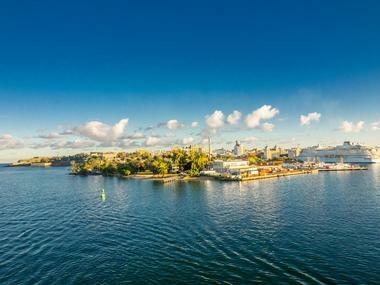 Plenty of cruise ships put into port at Barbados, but it's also a great destination on its own. Located in the eastern Caribbean Sea, the island of Barbados is an independent British Commonwealth nation with a lot of history. Its towns and cities are filled with gorgeous colonial architecture, and a visit to a museum will illuminate visitors about some of the events of Barbados' storied past. An island safari, aboard an open-air Land Rover, will guide visitors on an exploration of some of the most beautiful natural wonders of the island, while tours of fascinating places like underground Harrison's Cave or the mysterious Garrison Tunnels will add an air of intrigue and adventure to your vacation. These three small islands in the western Caribbean are just the place for some snorkeling, sunbathing, and deep sea fishing. On Cayman Brac, visitors can try their hand at fishing and bring back their catch for chefs to cook fresh that very day. On Grand Cayman, a day at the Cayman Turtle Farm or relaxing on Seven Mile Beach is the perfect recipe for a great day, while on Little Cayman, the smallest of the three islands, visitors can find seclusion and tranquility on an empty beach or while bicycling down paths where they will meet more native iguanas than other people. Nature abounds on the island nation of Dominica, where hikers, divers, fishers, and nature enthusiasts come to be amazed. Rated one of the top 10 destinations in the world for diving, underwater Dominica offers views of volcanic craters, colorful fish, and sheer drops into undersea abysses. 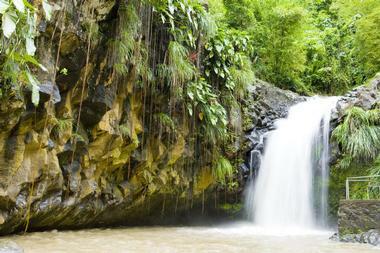 On land, the beauty of Dominica's rainforests is jaw-dropping, with natural hot springs and even volcanic Boiling Lake. Hikers can explore volcanoes, streams, waterfalls, gorges, and more, and at the end of the day, go back to a world-class resort, hotel, or rental property for a good night's sleep before the next exciting day arrives. 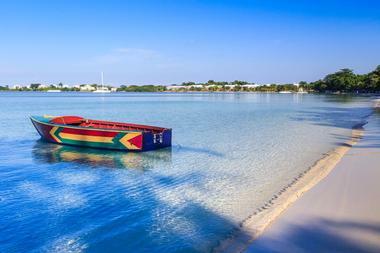 A vacation in a country known as the "Spice Isle" is pretty much guaranteed to be anything but bland. Granada, nicknamed "The Spice of the Caribbean" because of the large nutmeg plantations on the island, offers an invigorating experience to its visitors, with sandy beaches for sunbathing, fish-filled coral reefs for snorkeling and scuba diving, and beautiful, tranquil landscapes for exploring on foot, by bicycle, or with a guide. From rafting down the rapids of a rainforest river to relaxing in the sun on the white sands of Grande Anse Beach, Grenada can offer a lot to travelers looking for any type of holiday. The capital city of Cuba, Havana is an old city with Spanish colonialist roots that can be seen in its impressive 16th century architecture. 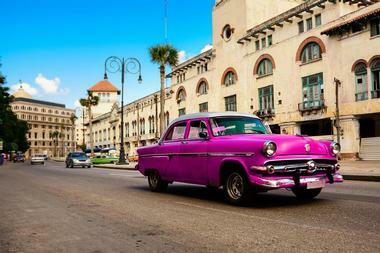 Visitors to Havana can explore Old Havana, the oldest district in the city, which is also a UNESCO World Heritage Site. In Old Havana, they will find Castillo del Morro, La Cabaña, the Plaza de Armas, and many of the museums and cultural centers Havana has to offer. There's always something to do in Havana, including watersports like diving or boating, hiking or exploring the nearby natural beauty of Cuba, or taking part in one of the many cultural events or seasonal markets that take place in the city center. This city in Jamaica is a popular resort destination, with a busy cruise ship port and countless high-end all-inclusive resorts to choose from. A swim, dive, or snorkel in Montego Bay Marine Park will reveal colorful reefs and abundant fish, and a ride on horseback along the shores of the beach is both thrilling and picturesque. On land, visitors to Montego Bay can explore some of the massive and historical plantation houses, with their expansive gardens and grandiose architecture, that feature so prominently in Jamaica's history in the sugar trade. 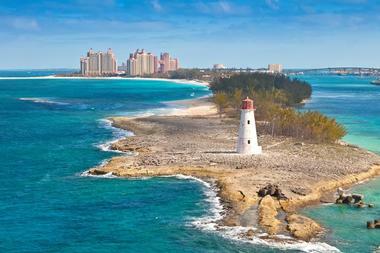 Nassau is the capital of the Bahamas, and the city is well known for its hilly terrain, gorgeous beaches, and the beautiful coral reefs located just off shore. Many of the buildings in Nassau are brightly colored in pastel shades, reflecting its colonial history and lending a warm island atmosphere to the city. Visitors can explore the pink Government House, built in colonial Georgian style, or check out the 18th century Fort Fincastle, built atop Bennet's Hill, from where it long protected the city of Nassau from pirates. 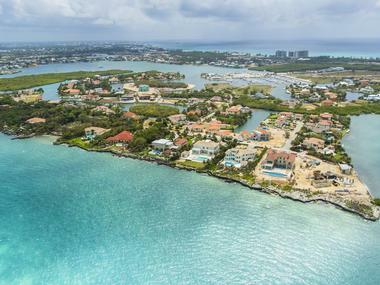 Galleries, museums, and tours round out the cultural experience in Nassau, and after a full day of sightseeing, visitors can enjoy a refreshing tropical cocktail or a delicious dish of fresh seafood at one of the many restaurants in the city. This town on the western coast of Jamaica is a popular destination for tourists that offers a bit more of a relaxed atmosphere than the hustle and bustle of Montego Bay. After a lovely afternoon spent bathing in the warm sun at Seven Mile Beach or exploring the Negril Lighthouse for excellent views of the coast, visitors to Negril can trek to the Negril Cliffs to watch the sun set. Resorts with picture-perfect views of the shimmering blue Caribbean waters are in ample supply in Negril, and tourists can enjoy their days at these resorts or strike out into the green Jamaican wilderness to find lush waterfalls, hidden lagoons, or green tropical landscapes. 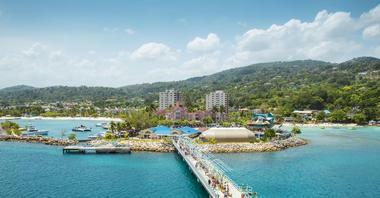 The port town of Ocho Rios in Jamaica was once a busy fishing village. It has since grown into a busy tourist destination with cruise ship ports and high-end resorts, and it is a great base for exploring some of the most beautiful attractions Jamaica has to offer. At Columbus Park, visitors can see the supposed site where Christopher Columbus first set foot on land as well as a number of artifacts from Spanish explorers and settlers. Tourists can also swim with dolphins and stingrays at Dolphin Cove, climb a terraced waterfall at Dunn's River Falls, or spend a day or evening relaxing and enjoying James Bond Beach or Reggae Beach. 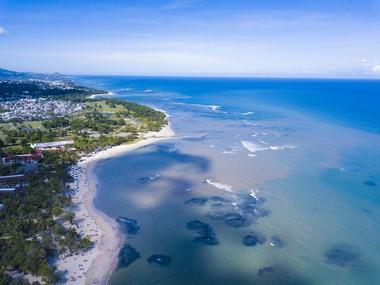 Located on the north coast of the Dominican Republic, Puerta Plata is well known for its many beautiful beaches, like Playa Dorada, Playa Cabarete, and Playa Sosua. A cable car tour from the top of Mount Isabel will offer visitors the opportunity to see the entire city, as well as some stunning ocean views, from above. Visitors to Puerto Plata can also swim with dolphins at Ocean World Adventure Park, explore the 16th century Spanish fort Fortaleza San Felipe, or check out some of the many art and history museums in the city to learn about Dominican culture. A resort town in the Dominican Republic, Punta Cana is located on the island's eastern edge, and is well known for the 20-mile stretch of beaches along its coast. La Costa del Coco, or the Coconut Coast, is the largest tourist region in Punta Cana and comprises an entire area filled with exquisite resorts. Visitors to Punta Cana will of course enjoy the white sand beaches but will also have lots of opportunities to try ziplining, sailing, or windsurfing. Those looking to explore the wilderness of the Dominican Republic can book a Jeep tour or even rent an ATV for a day of adventure. 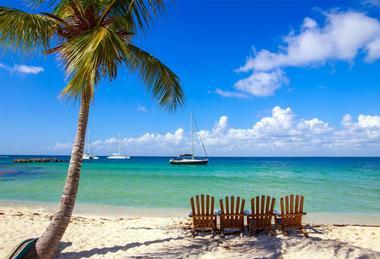 Of the three US Virgin Islands, Saint John is the smallest, but its size doesn't stop it from being a fantastic destination for a Caribbean holiday. Still recovering from the devastating impact of the 2017 hurricane season, Saint John's waters are home to dolphins, turtles, and an abundance of tropical fish, and its forests are the habitat of cuckoos and hummingbirds. More than half of the island is occupied by Virgin Islands National Park, a veritable paradise of forests and wildlife, so Saint John is an excellent choice for travelers who want to see some of the stunning tropical nature of the Caribbean. 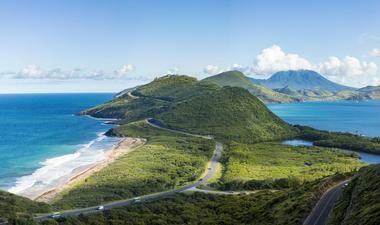 Saint Kitts and Nevis are two islands in the eastern Caribbean that together form the nation of the same name. These volcanic islands are characterized by the tall mountains that make up their land, often seen shrouded in mist and clouds, and on the island of Saint Kitts, and the dormant volcano Mount Liamuiga is a stunning centerpiece to the island's beauty. Tourists in Saint Kitts and Nevis can explore crater lakes, hike through rainforests, or see the eerie ruins of historical sugar plantations, which were once important to the island's early industry. Offshore, visitors can dive to find ancient shipwrecks or snorkel to see colorful tropical fish. Santo Domingo, the capital city of the Dominican Republic, is one of the oldest and most historic cities in the Caribbean. Originally founded in 1494, the city of Santo Domingo contains a walled town center, called the Zona Colonial, with cobblestone streets, beautiful old buildings, and the first cathedral to have been constructed in the New World by European settlers. 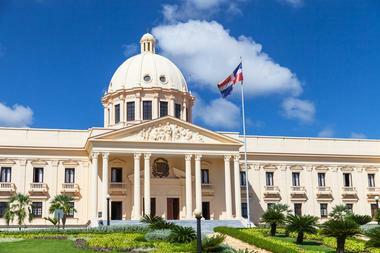 Some of the buildings here, like the Alcazar de Colon Palace, have been refitted as museums or business spaces, and while on a walk through the streets and plazas of Santo Domingo, visitors can stop for a drink or a bite to eat from a number of delicious cafes and restaurants. 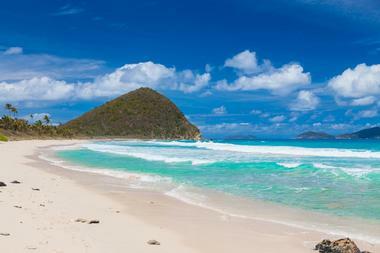 Tortola, the largest island in the British Virgin Islands, or BVI, as it is known by locals, is a beautiful place with white sandy beaches, hidden coves, and lush green forests. Yet another Caribbean destination that was struck hard by Hurricane Irma, Tortola is making a speedy recovery, working hard to rebuild the homes, buildings, and businesses that make the BVI a great destination. 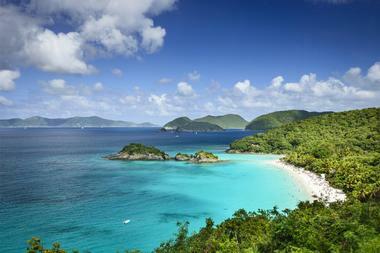 Visitors to Tortola can enjoy a day on the water, spent on a kayak, on water skis, or in a fishing boat. Resorts, hiking, and local residents who are friendly and welcoming make Tortola a perfect destination for a relaxing, beautiful Caribbean getaway. 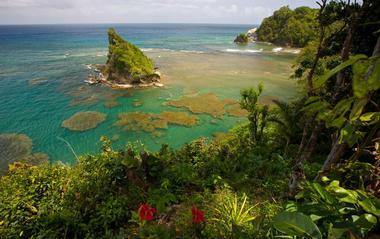 The beautiful island nation of Trinidad and Tobago is an excellent choice for travelers, and adventurers. Those looking for a party can visit during the famous Carnival season for music, drinking, bright costumes, and revelry, and travelers looking for a different kind of adventure can check out some of the country's nature, like the stunning Argyle Falls, Salybia Beach, Gasparee Cave System, or the Three Pools Trail in Trinidad's Northern Range. Bright and varied wildlife, historical and beautiful architecture, and centuries of fascinating history are just a few of the other offerings on the table in Trinidad and Tobago. 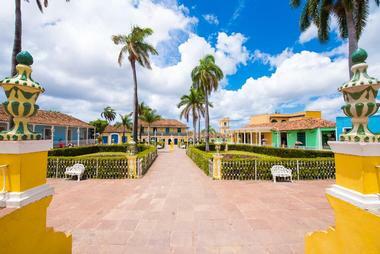 Varadero, located on the narrow strip of land known as the Hicacos Peninsula in the country of Cuba, is a lively resort town with over 12 miles of coastline and stunning views of the Atlantic Ocean everywhere you turn. Hotels, spas, and golf courses are in abundance here, making Varadero a great place to relax and soak up a few rays on the beach. Visitors looking for nature or adventure can check out the Reserva Ecológica Varahicacos, a nature reserve located on the peninsula, which contains some ancient burial caves and plenty of hiking trails.